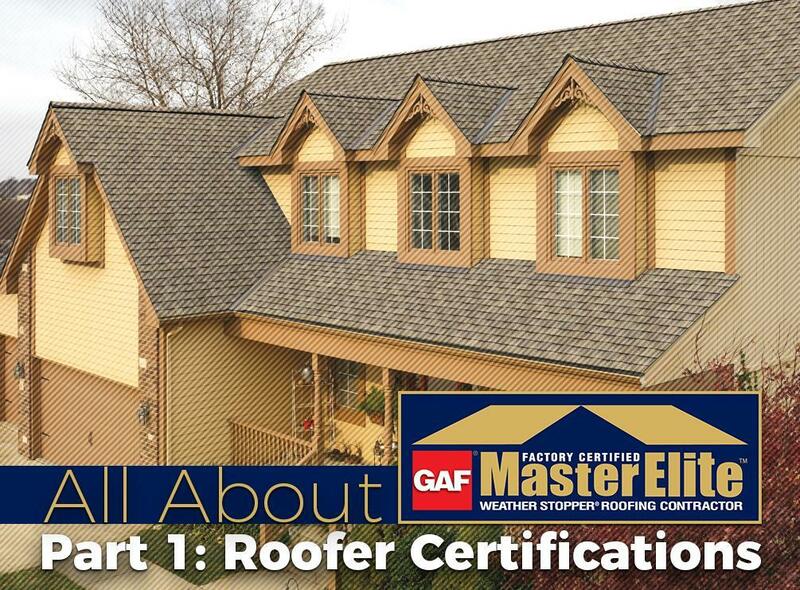 At Innovative Roofing and Siding, Inc., we are proud of our designation as a GAF Master Elite™ contractor. It places us among the 3% of all American roofing contractors across America, but more importantly, it lets us offer exclusive products and services to our clients. In this two-part blog, we’d like to share the unique benefits of hiring a GAF Master Elite roofer. Proper license – The State of Tennessee has made roofing license a requirement as of January 2014, but even before then, we made sure that we’ve complied with all local license requirements. Note that a contractor license is different from a business license. Adequate insurance – Roofing contractors (and all remodeling contractors, for that matter) should at least have general liability insurance and workers’ compensation, for coverage against accidental property damage and injuries, respectively. Hiring contractors without both is risking having to pay out of your own pocket if either happens. Proven reputation – Reputation is something earned only through good, old-fashioned community goodwill and hard work. We have been in business for over 25 years and maintain a proven reputation—a quality expected of GAF Master Elite contractors to represent their industry-leading roofing products. Commitment to ongoing professional training – As GAF continues to improve their products, processes and standards, GAF Master Elite contractors must always be ready to update their installation skills as prescribed by GAF. Quality installation – When you hire a GAF Master Elite contractor like us, you can be confident knowing that the finished roof will live up to the standard of quality GAF is known for. Complete roofing system – Roofs installed by GAF Master Elite contractors feature the Lifetime Roofing System, a complete roofing system carefully designed by GAF from the underlayment to the ridge caps, guaranteed to provide total roofing protection. Exclusive warranty coverage – The GAF Golden Pledge® Limited Warranty, which covers up to 50 years on materials and 25 years on workmanship, is exclusively available through by GAF Master Elite contractors. In our next installment, we discuss the GAF Virtual Home Remodeler and how it can help you find the right GAF roofing for your home, in the comfort of your own home. In the meantime, to learn more about what we can do for your roofs and gutters, call Innovative Roofing and Siding, Inc. today at (865) 444-6070 or fill out our contact form to schedule a free, no-obligation quote. We serve Knoxville, TN and nearby areas.